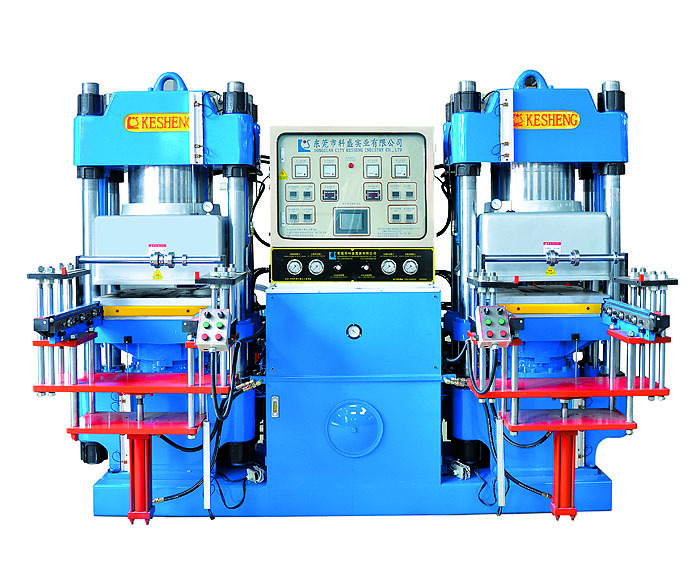 High-precision double-pump full-automatic vacuum front-style 2RT hydraulic moldi-High precision automatic vacuum curing machine-Dongguan City Kesheng Machinery Co., Ltd.
1. Adopt dual power individual circuit design, stable, quiet, low failure rate, two axes can be operated simultaneously, saving 50%. 2. Front mold is suitable for variety 2-layers or multi-layers molds, it is a kind of new multi-function machine. 3. Lift and clamping mold speed can be adjustable, accuracy and reliability. 4. Out-In mold positioning accuracy, positioning 100% security, to ensure that mold does not damage. 5. Vacuum chamber can reach 650-700mmHg within 5 seconds. 6. Has a fast, slow correction mode selection function, so that the mold can be correction more accurate, more secure. Auto parts,Rubber fasteners,O-Ring,Silicon button,Home application rubber,Cookware,Industrial rubber,Bottle stoppers,Silicom/Rubber multi-layer molded products ect.